Now the latest smartphone is a lifestyle gadget. Mobile phone users are increasing day by day, with the growing mobile phone companies. There are many mobile companies in the world. The most popular smartphones are iPhone, Samsung, HTC, Blackberry, Microsoft etc. 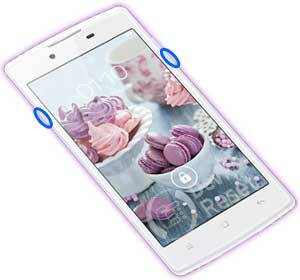 Among the most popular mobile phone, has captured the minds of mobile users oppo. Now Oppo is a popular smartphones. Because, Oppo mobile device management team made their every smartphones world most slim, new style and latest version of android OS. But every mobile phone have some common problems. The common problems are pattern lock, gmail lock, mobile device hang, forgot user code etc. Generally, this kind of trouble, we quickly went to nearest of the mobile service center. But, if you want to solve this type of problems at home you can do it at free of charge. Because, devicereset.com you can find all type of smartphones hard reset/ factory reset/ unlocked phones problem solution tips with easy methods. See, how to reset oppo neo smartphone. Here we will show you some important tips and some reset process. A soft reset is a very simple and easiest process to reset Oppo Neo. If you use soft resetting method you won’t lost any data from your cell phone.This process doesn’t solve any major problem, but it helps to solve a minor problem. Turn on Oppo Neo smartphone and touch the menu button and go to setting menu. When you failed process 1, process 1 and process 2 then you can use process 3 I mean Hard reset using the button. Because this process have some risk. while you hard reset your smartphone you will lose all valuable data like image, video, contact number, document in your phone storage. So, before using hard reset backup all data on your PC or SD card. We are already showing you how to backup android data. Ok, let’s see the hard reset steps. Turn off you new smartphone Oppo Neo and remove all SIM card or SD card.